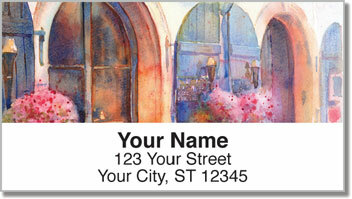 You're sure to fall in love with the flowers boxes, charming wooden shutters, and winding cobblestone paths of these European designs on our address labels. Created by Artist Yevgenia Watts, they images breathe and bloom on the page working with the natural rhythm of the watercolor paint rather than against it. 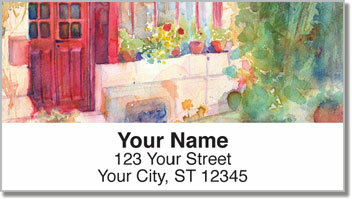 In addition to being lovely, these address labels have a convenient self-adhesive backing. 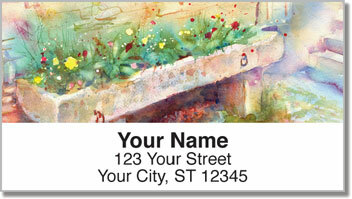 Not only will you save hours of tedious work, it's a total snap to stick them on your letters or packages. 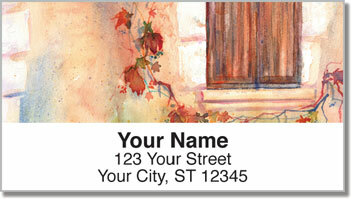 Order these labels today and get shipping absolutely free.